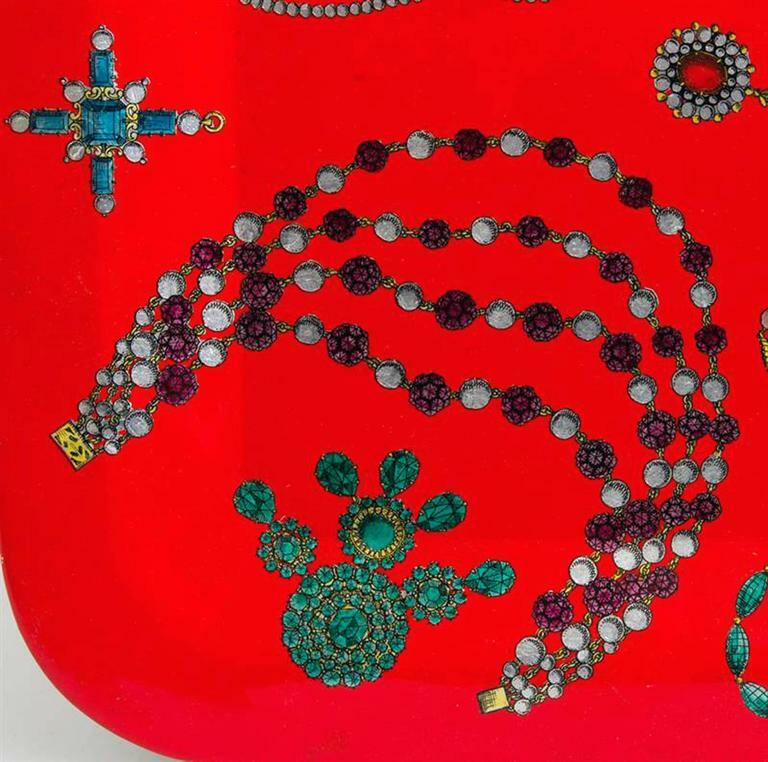 Fornasetti large jewelry metal tray, Atelier Fornasetti, 1990s. 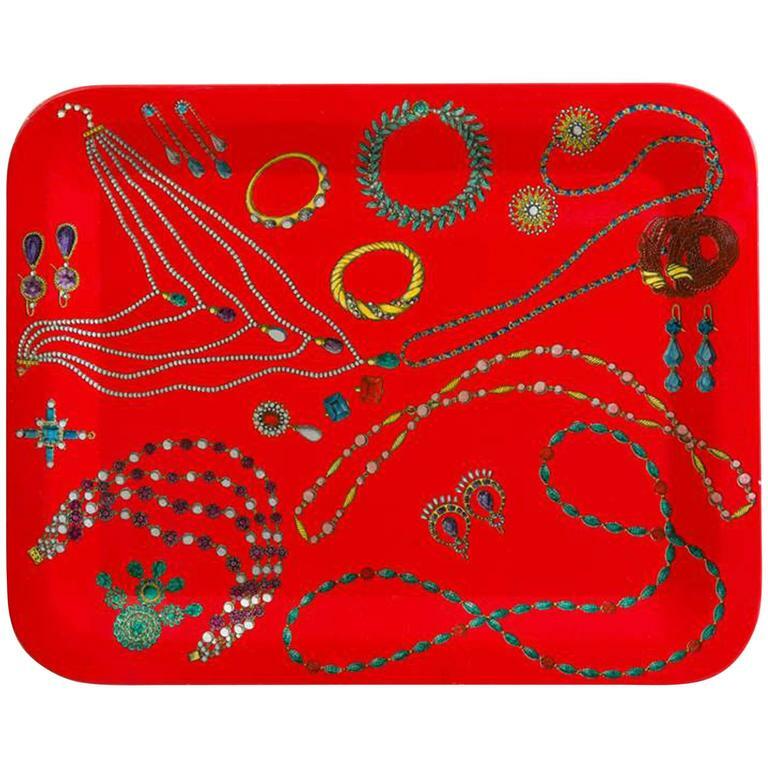 A very striking graphic, large metal Fornasetti metal tray with jewelry placed on a red ground. Dimensions: 18 1/4 inches x 23 inches. 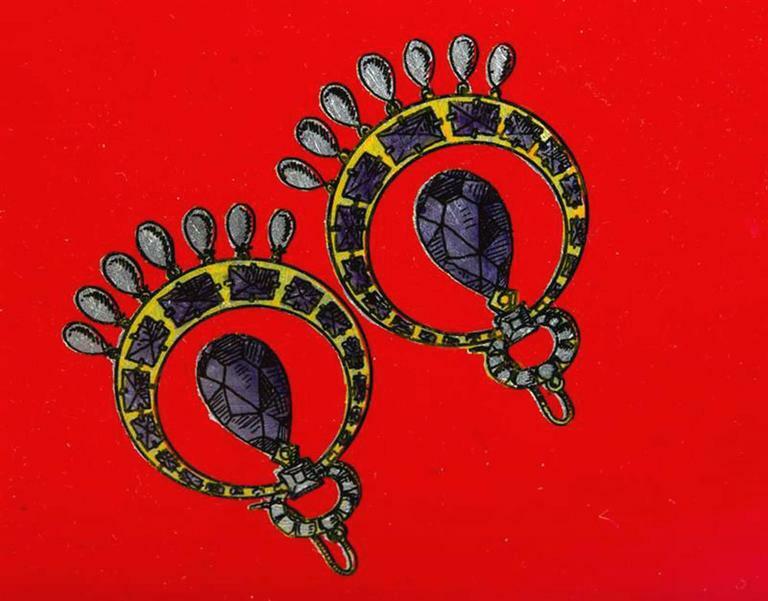 Complete set of 8 Fornasetti Coasters in the American Antiques pattern. Includes original gold box. Fully signed to each. Large brass tray with beautiful etched detailing. 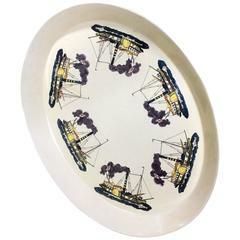 This stylish and chic Fornasetti tray will make the perfect statement piece for serving your guests or to be used as a decorative object of beauty and rarity.